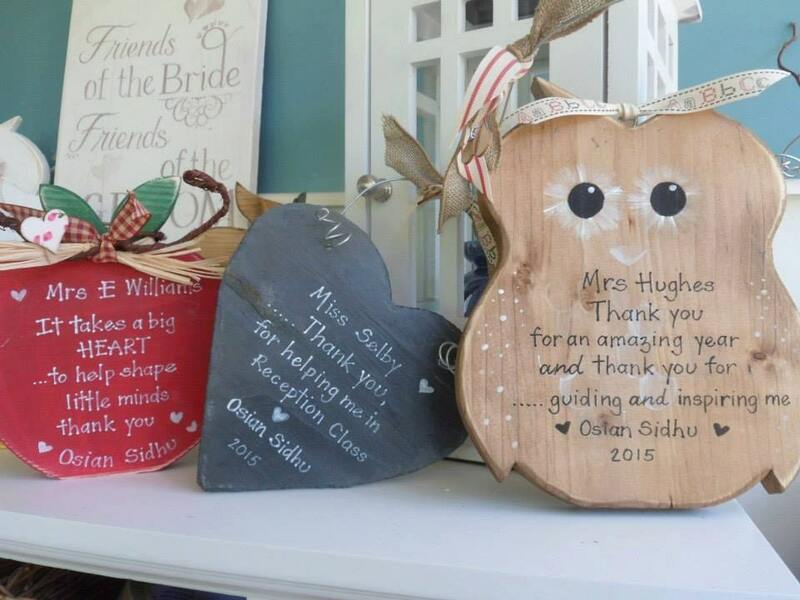 Our wise owl makes the best thank you for a special teacher, LSA , Nursery assistant and Carer. 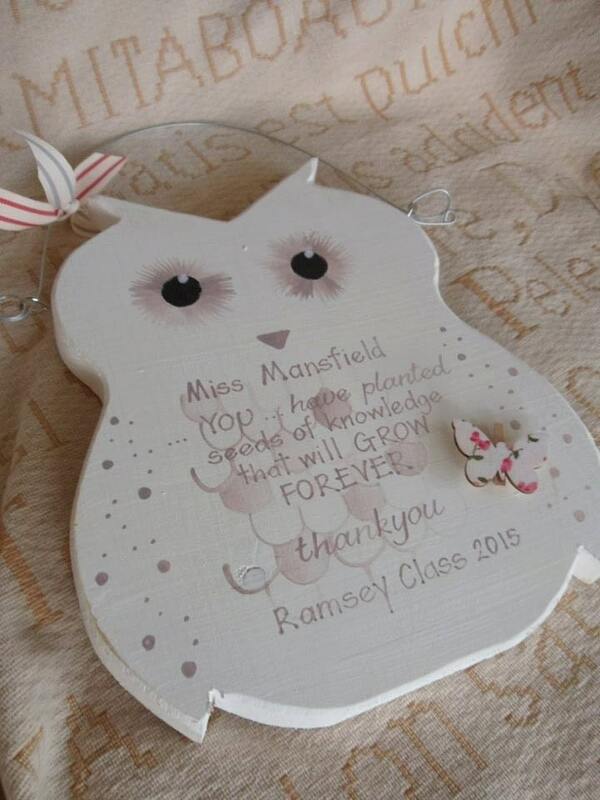 Personalise with a verse for teachers that maybe retiring or perhaps your little one is moving to Big School. 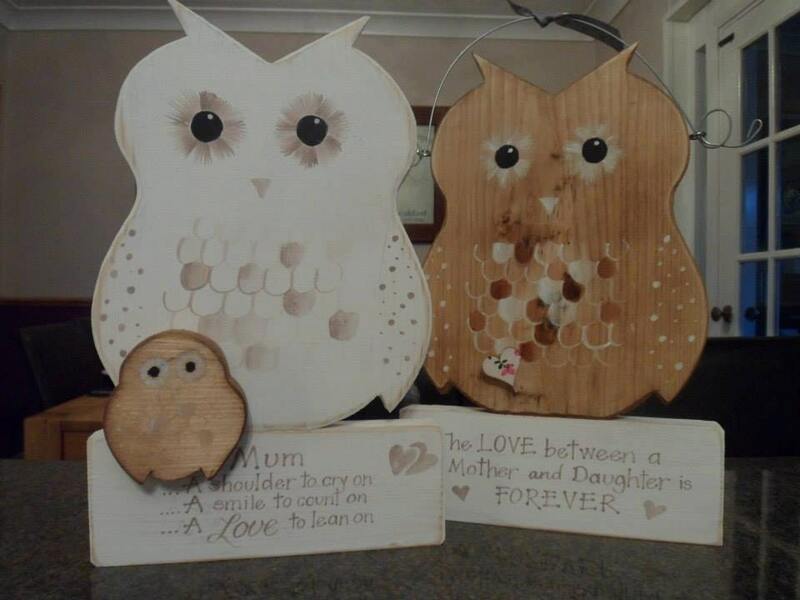 Available in White and Brown and personalised with a name and a quote of your choice. 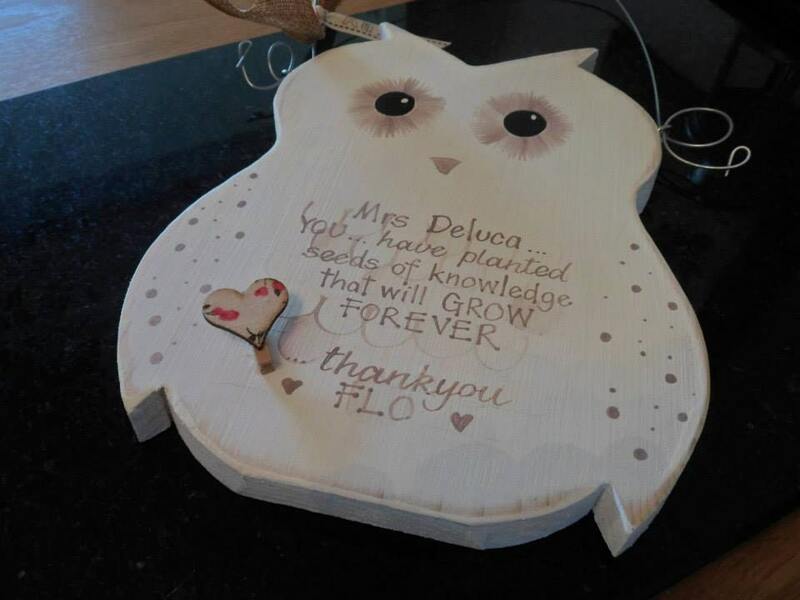 Really well made, beautiful and something a bit different to say thank you. 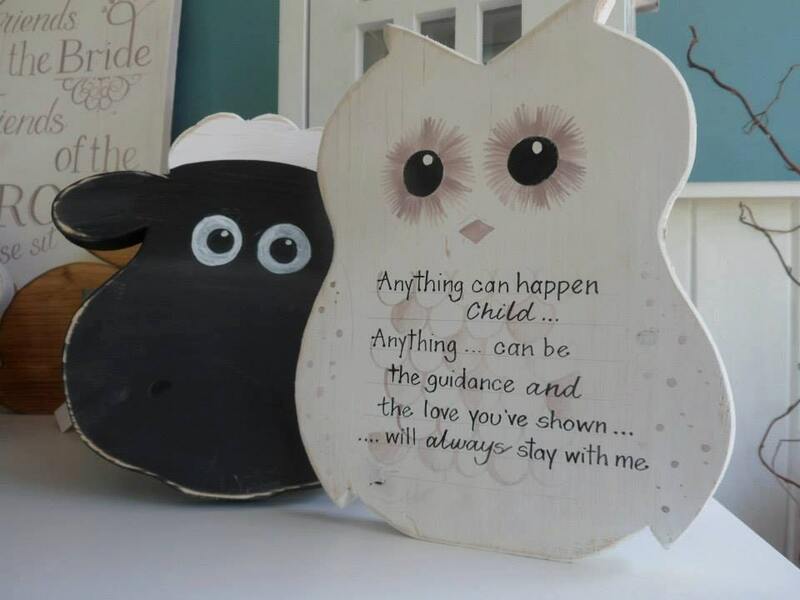 Absolutely in love with it.